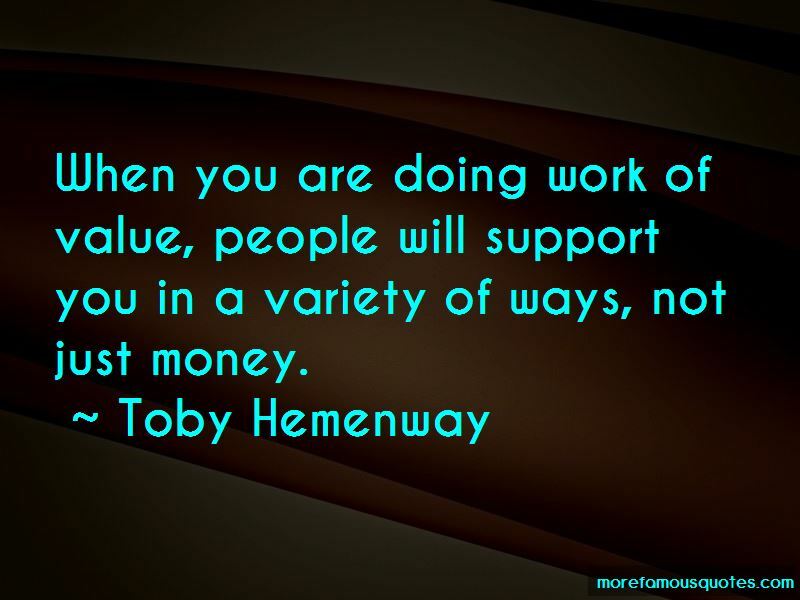 Enjoy the top 10 famous quotes, sayings and quotations by Toby Hemenway. 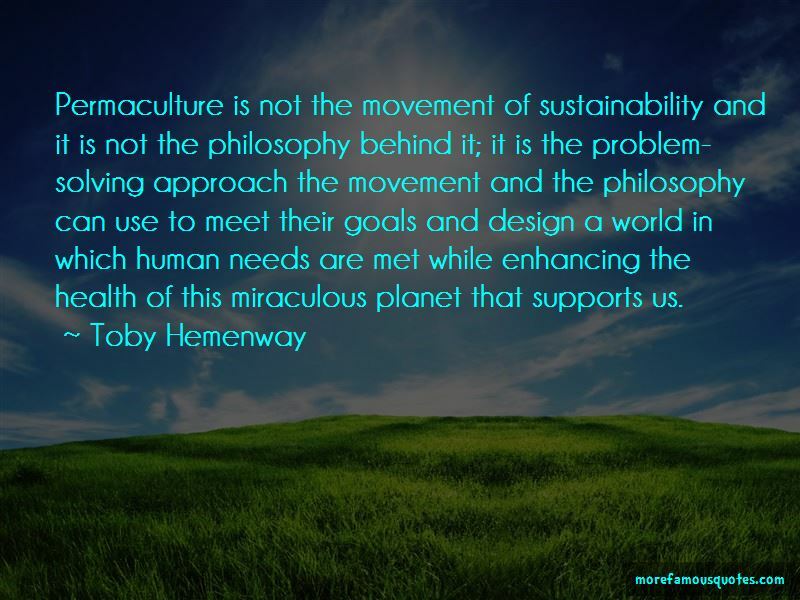 Permaculture is not the movement of sustainability and it is not the philosophy behind it; it is the problem-solving approach the movement and the philosophy can use to meet their goals and design a world in which human needs are met while enhancing the health of this miraculous planet that supports us. 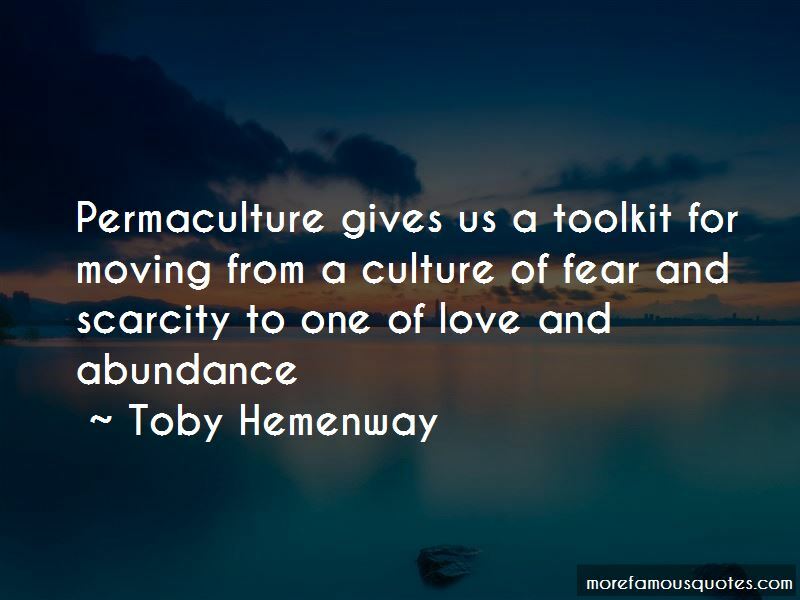 Want to see more pictures of Toby Hemenway quotes? 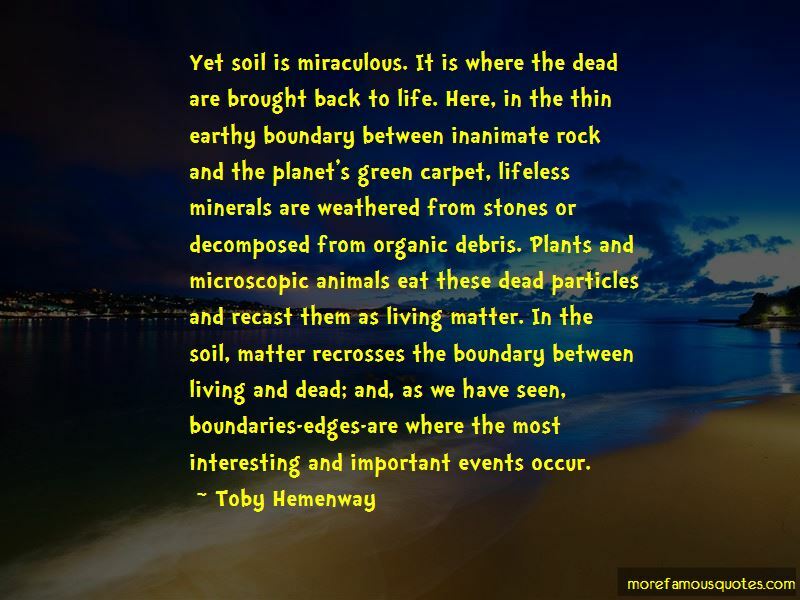 Click on image of Toby Hemenway quotes to view full size.